It’s no secret that many computer users around the world refuse to even consider an upgrade from Microsoft Windows XP to Windows Vista, but one has to wonder how many of those decisions have been made after careful research, or just snap judgments based on word of mouth. 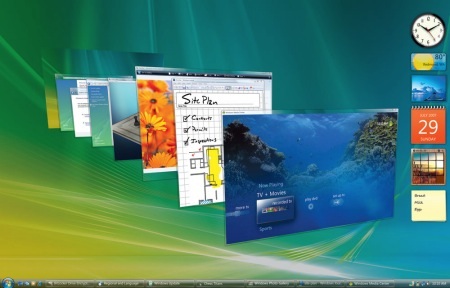 According to Cnet News, Microsoft recently tried an experiment in which they brought together a number of loyal Windows XP users who refused to make the switch and asked them to take a look at a brand new upcoming operating system they called “Mojave”. The reviews of the “upcoming” operating system were surprising, at least to everyone other than Microsoft, with 90% of the users leaving positive feedback. However, Microsoft had another surprise, when they informed those users that “Mojave” was actually Windows Vista. The rest of the article talks about how Microsoft, now a year and a half after the original release of Vista, is finally starting to take serious action in marketing and advertising to correct the somewhat out of control “anti-hype” that surrounds Windows Vista.